This is the multi-purpose art-space joining 3 galleries of modern art, several exhibition halls, gallery of designer clothes Backstage, clothes shop 59. 6, shop of designer books “Library Projector ”, LoftWineBar and café “Green Room”. 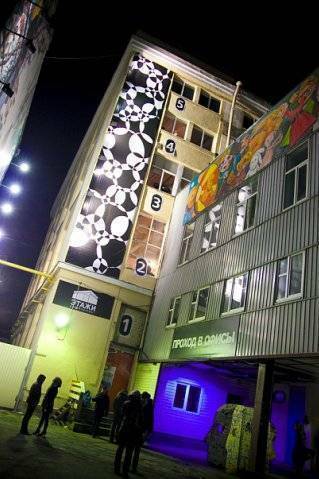 That’s why our guests are in the thick of events, occurring in LOFT Project ETAGI. Western-style renovation, individual design idea for each room, terrace view. 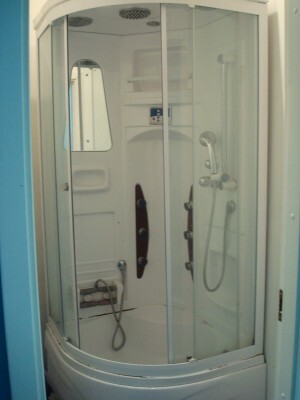 Common facilities, 1 shower per room, a washing machine for common use, free Wi-Fi, cozy guest kitchen with TV, where you can cook or prepare tea. A light breakfast is included. 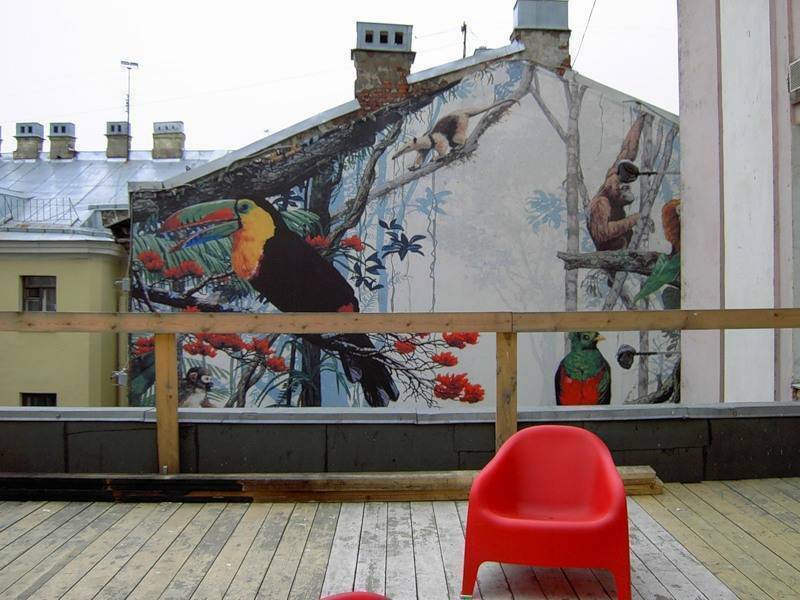 Finding the most expensive hotel in the city is really no big deal, yet coming across a hostel that might well pass as well for a stylish design hotel - that's a story you would like to share! 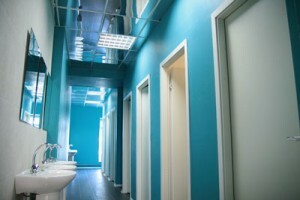 And that's what a brand new Hostel Ligovsky 74 in St. Petersburg is all about. A location alone is worth writing about. It's set in the former five-floor Smolninskiy bakery factory, built in 1938, which since 2007 houses the cultural centre Loft Project Etagi. 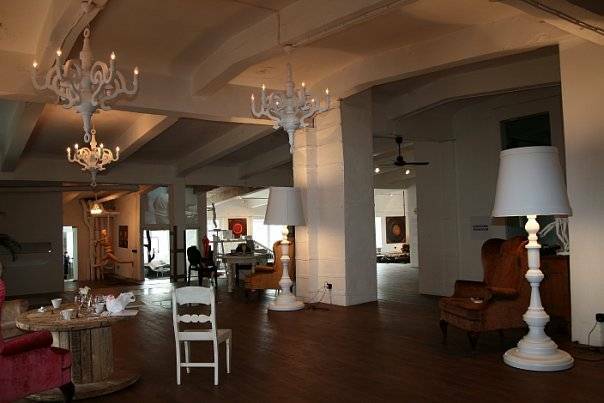 It's a multi-purpose art space where you can feel the heartbeat of the contemporary cultural life of the city. 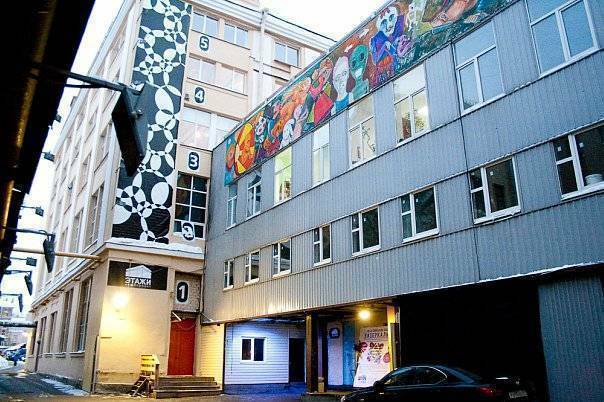 It joins under the same roof three art galleries, an architectural office, shop of designer books Library Projector, a wine bar LoftWineBar, eco-style café Green Room, a boutique Backstage, presenting the creative efforts of young fashion designers of St. Petersburg and the Batics, clothes store 59, 6 and now - a hostel as well. It features light, and colorful contemporary design - walls covered in wooden puzzles, wooden floorings and joyful room interiors, here and there adorned with artworks formerly presented at Loft Project ETAGI expositions. Although most of the rooms are fitted out with traditional bunk beds, three of them have a special designer status. Light and spacious, they are equipped with plasma TV, a private bathroom, a comfy bed, wireless internet connection, etc., and are just perfect lodging for cultural tourists - connoisseurs. All the topical art exhibitions are just next door - in the same building, while breakfasts are served in the wine bar LoftWineBar, in an equally artistic environment. On a warm and sunny day, you can savor your delicious lunch on a cozy open air terrace of the Green Room café, where you can also browse a book or surf the Internet. It offers a vegetarian cuisine from around the globe, moreover, for amazingly friendly prices in comparison with general St. Petersburg's costliness. 5 min on foot from the metro station: Ligovskiy pr.